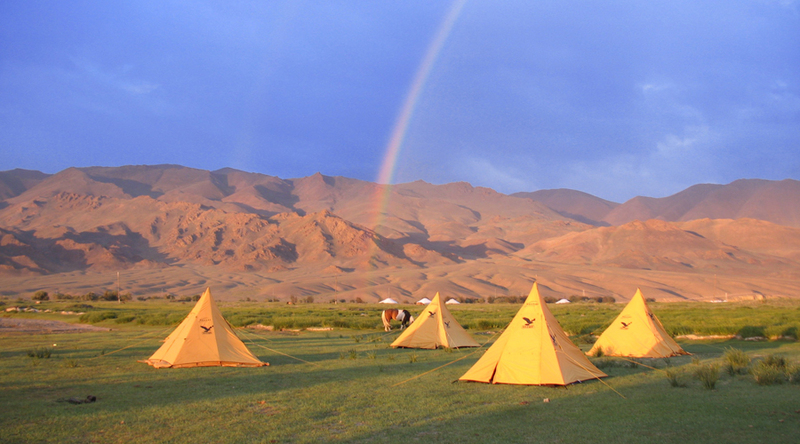 Looking for an adventure holiday in Mongolia with a difference? 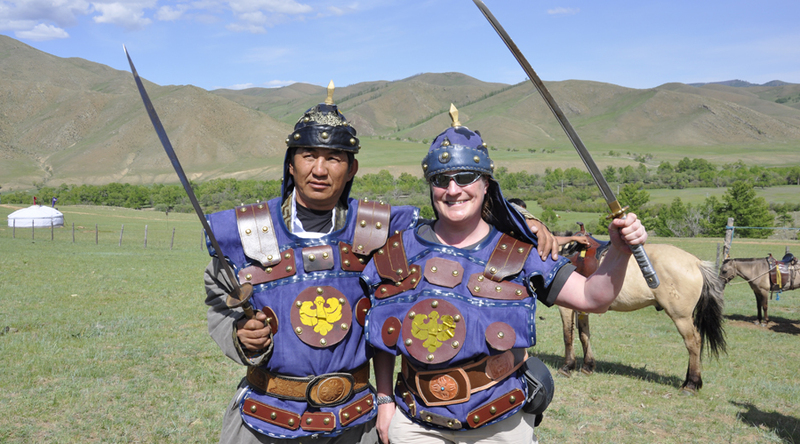 Live the life of a Mongol Warrior under Genghis Khan, as you head out onto the Mongolian steppe and learn what made this the greatest military empire the world had ever seen. 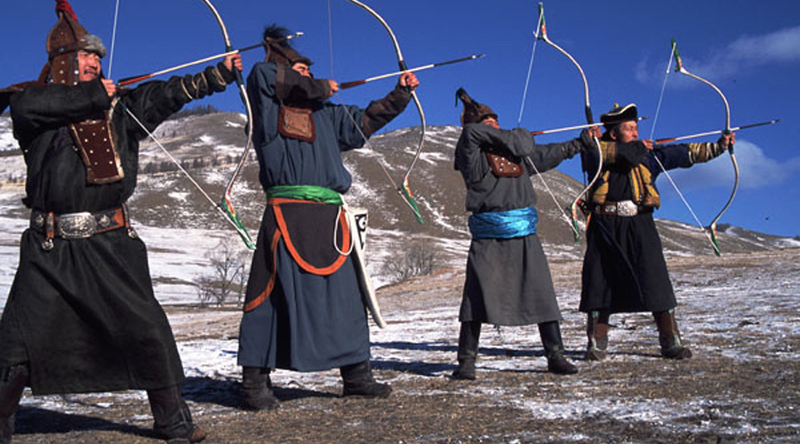 Riding techniques, shooting with a bow and arrow, battle tactics and much more are all covered as you stay in a felt ger and don full costume, this is one of Mongolia’s most unusual adventures. It exceeded all my expectations; there was a great mixture of fun and a true experience of Mongolian culture and hospitality. 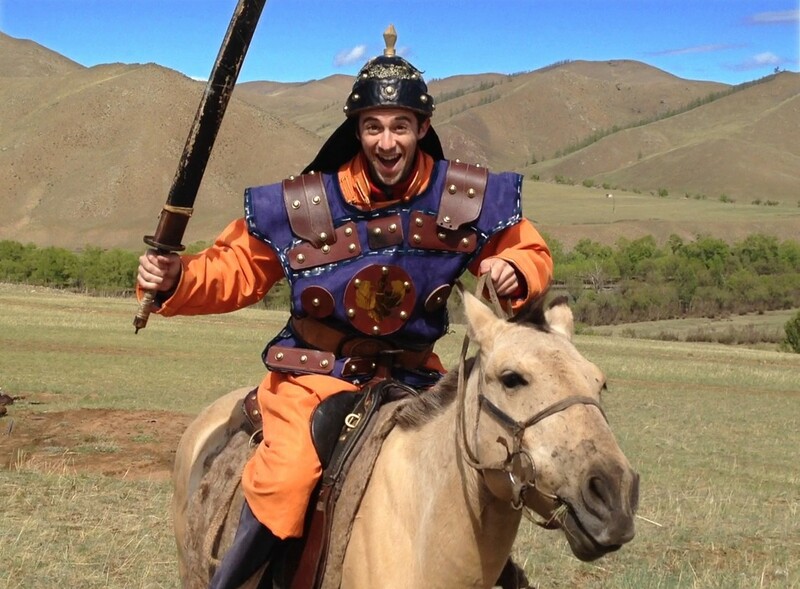 This trip, featured in a recent BBC book Unforgettable Things To Do Before You Die, will show you first hand what it felt like to be a Mongol warrior under the mighty Genghis Khan. Genghis Khan established the Mongol nation, conquered most of the known world, and rightfully earned the reputation as one of the great military leaders of all time. Uniting a small confederation of rival nomadic tribes on the Central Asian steppes, he created the largest empire the world has ever witnessed. The Mongol warriors under the Khan were the strongest, swiftest and most agile military force of their day, employing highly advanced tactics and strategies. By the time of his death in 1227, the Mongol empire extended all the way from Beijing to the Caspian Sea. The site of his grave has still not been found, although it is believed to be somewhere in the Khentii mountains. This adventure will show you what it really felt like to be a warrior under the Great Khan and to discover the reasons that made the warriors such a powerful troup. 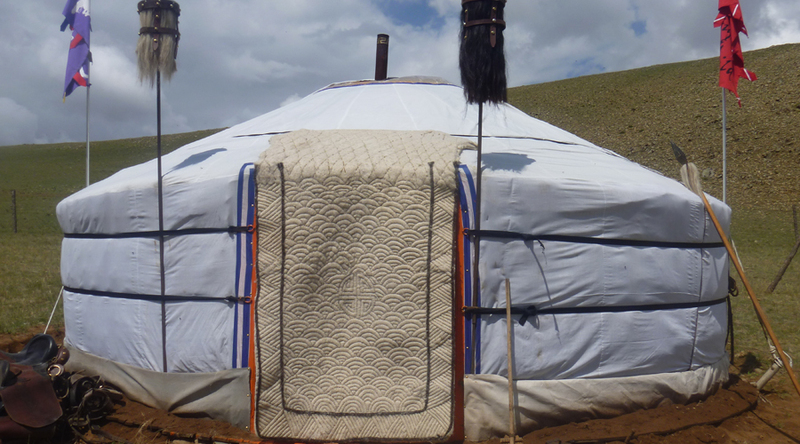 Dressed in full costume and staying in felt gers (the portable tents designed for a nomadic lifestyle), you can have a taste of what it felt like to be a Mongol warrior, and discover the reasons that made them such a power. Every aspect of this adventure is a discovery: learn bow and arrow making, orientation techniques, field cooking, how to shoot from a standing position and on horseback, learn the different knots used in the daily life of the steppe nomads, how to herd horses and lasso them, as well as discovering the battle tactics used by the great Khan, such as the art of lighting many campfires quickly so as to confuse the enemy at night. 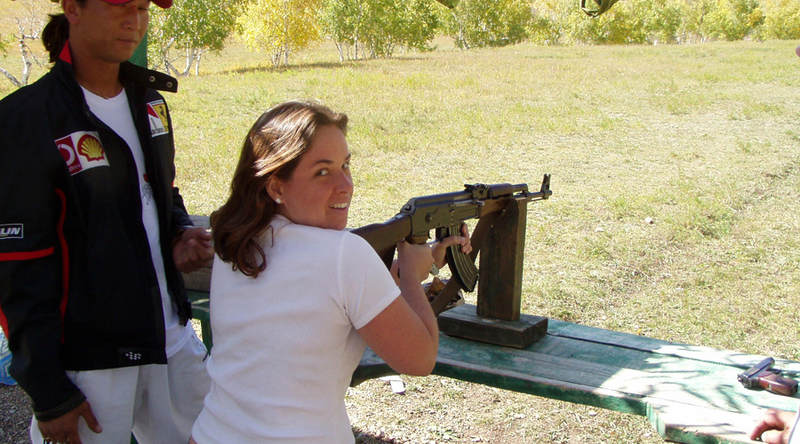 You also prepare your own weaponry, and re-enact different tactical techniques to ensure a successful war campaign. Mongols moved great distances, and it was only by adopting a basic lifestyle and employing simple but well-proven technologies that they were able to do so. 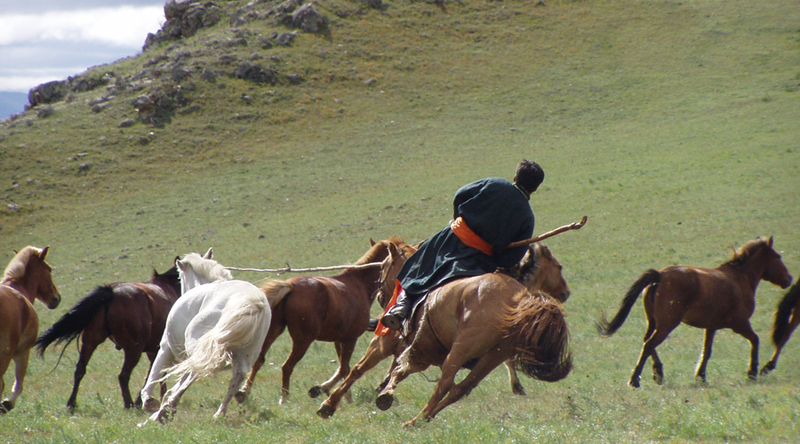 A perfectly organized network of urtuuns – a day’s riding – stretched across the entire Mongol Empire, enabling messages to be delivered from as far as the Black Sea in just two weeks. 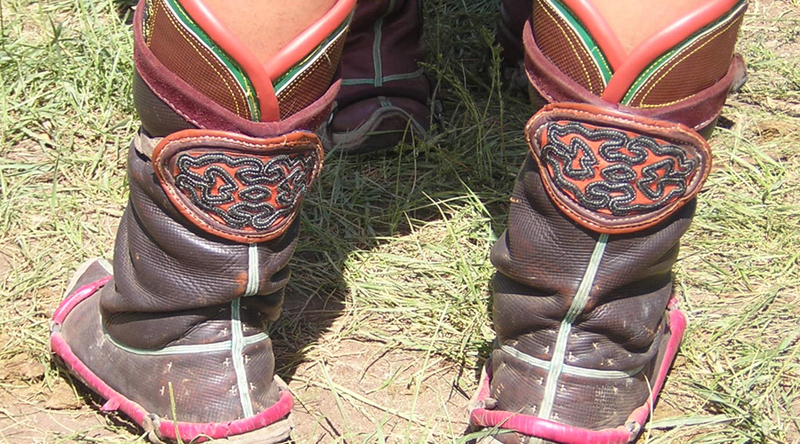 While riding, we visit nomadic families who move across the grasslands in search of good pastures, and share a lifestyle that has not changed in centuries. 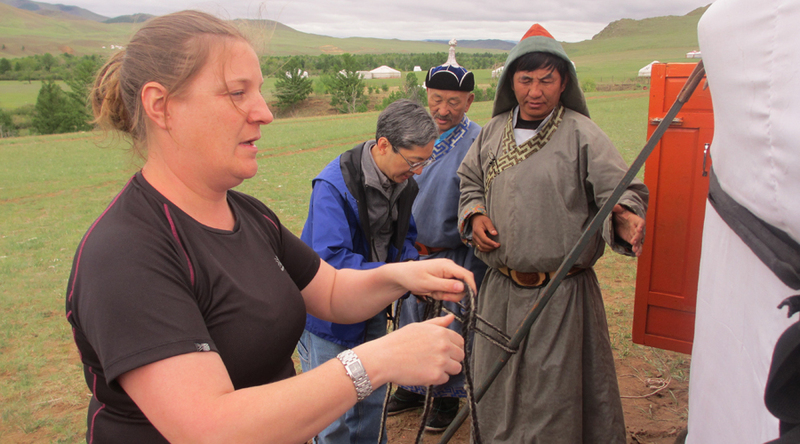 There will be opportunities to taste the renowned koumiss (fermented mare’s milk) and Mongolian milk vodka, and through your interpreter, understand how these people eke out a living in this harsh but astonishingly beautiful landscape. In the evenings, sitting by the campfire, you can listen to the old legends as you gaze up at the unbelievably clear night skies. On the afternoon of the last riding day you are met by our support team and taken to Ulaanbaatar for a farewell dinner, before transferring to the airport for your flight home the next day. One must not perceive the attack of the medieval Mongols’ as a chaotic advance of a tribe of brutes. It was indeed a well-planned campaign run by highly disciplined, and organized army. Arrive in Ulaanbaatar and transfer to the Chinggis Khaan Hotel for overnight accommodation. In the afternoon enjoy a sightseeing tour of Ulaanbaatar, including a visit to the National History Museum and the Mongolian Military Museum. Collect your traditional Mongolian robes or ‘del’. A welcome dinner will be served at a local restaurant. 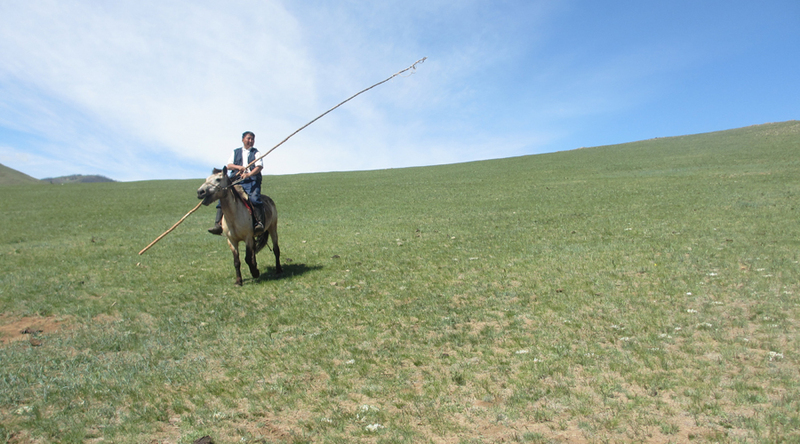 This morning you will be met by your guide and travel to the training camp, located 3 hours outside of Ulaanbaatar. 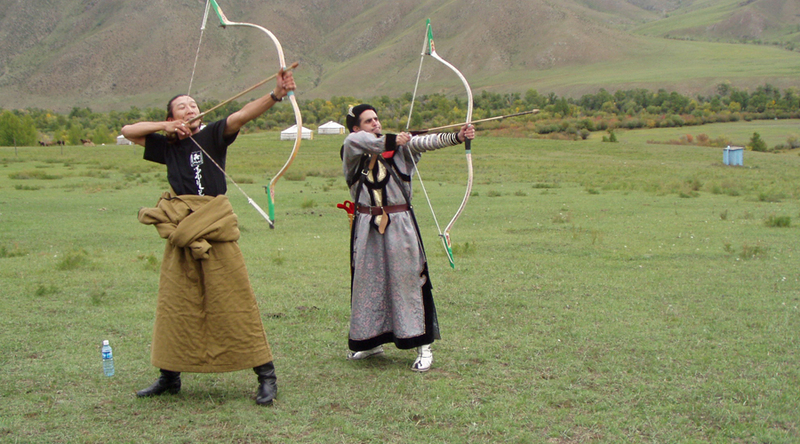 Here you will begin your warrior training with introductory lessons in archery and horse riding. After dinner at your ger camp you will mount your horse and ride to a guarding post, maintaining the camp’s security and protecting the horses from wolves, enemies and thieves in the same way as Khan’s soldiers would have done 800 years ago. 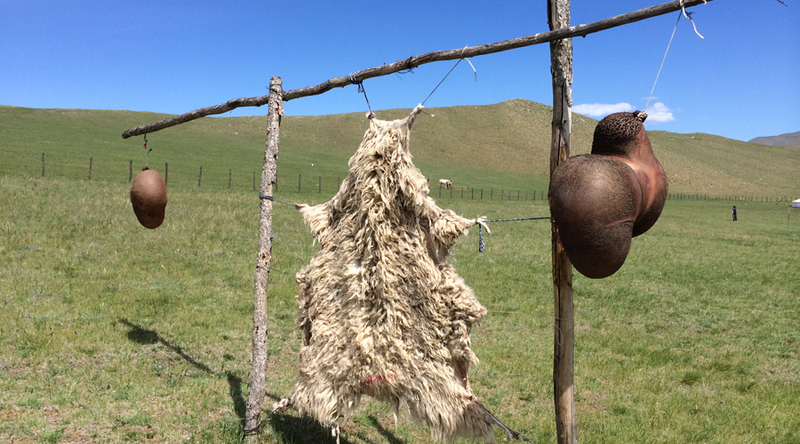 After breakfast, collect your horses and learn how to cook a meal fit for a true Mongol warrior (this will then become your lunch later in the day). 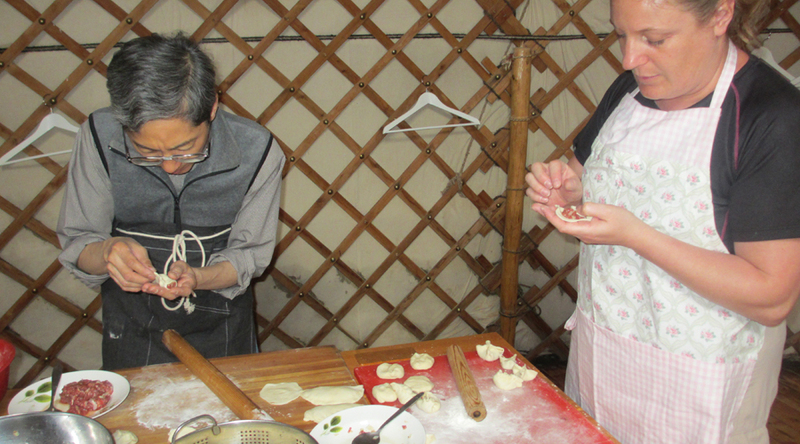 You will also learn how to make Mongolian milk products, including some special recipes which are still common. Later in the day you will master your riding skills and learn traditional Mongolian techniques for lassoing horses. Further archery lessons, learning to shoot from a standing position and on horseback before returning to the ger camp for dinner. After breakfast there are several battle tactics classes for you to participate in, designed to give you a good general knowledge of Khan’s most successful battle methods. This will include a lesson on Mongolian wrestling tricks, and a tactics performance. Later in the afternoon there is a chance to learn an ancient Mongolian song to sing during the farewell festival and arts performance. Before setting off for war, Genghis Khan would invite a shaman to call the spirit of war victory, followed by a festival of food and arts. Mongols moved great distances. The extremely simple life style and employment of simple but well proven technologies enabled them to do so. You will do exactly the same over the next 3 days, days which will be truly challenging. 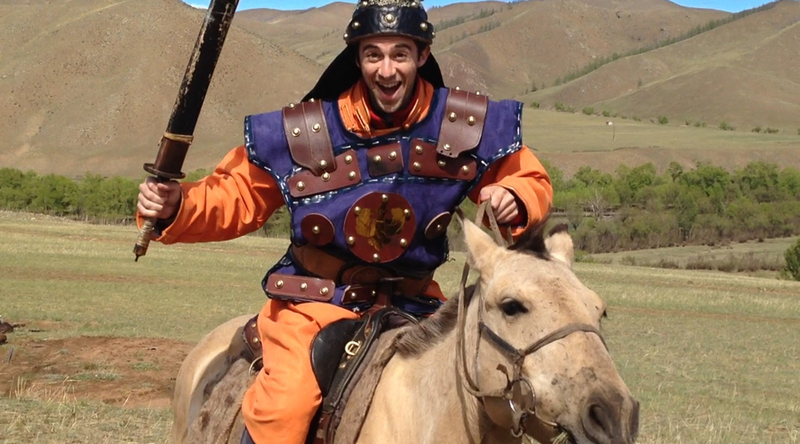 The skills you have acquired in the past few days will help you to survive on the Mongol Ride. Begin a day of riding from Maikhan Tolgoi to Terelj (35km). Overnight in a tented camp. Another day of riding, from Terelj to Dund Bayan (35km). Final ride from Dund Bayan to Gunjin Temple, a scenic and rewarding ride, with an evening return to Gunjin camp area (30km). 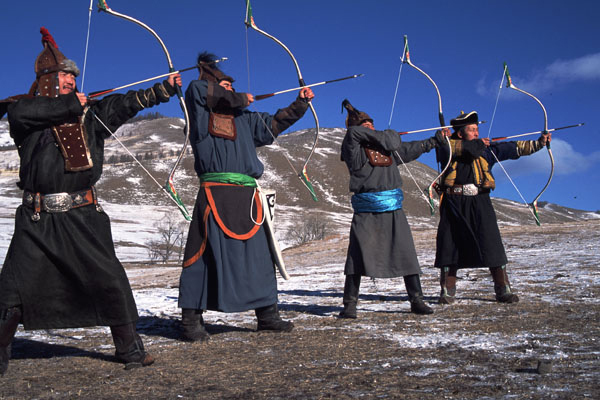 After a relaxed morning you will be driven to ‘Chinggis Troops camp’ where you will have an opportunity to disclose your natural talent, as wall as test your agility and accuracy by the use of a variety of weapons to shoot static and moving targets. In the afternoon you will be taken to Ulaanbaatar for a farewell dinner, where you will receive your certificate of achievement. Transfer to the airport for your international departure. 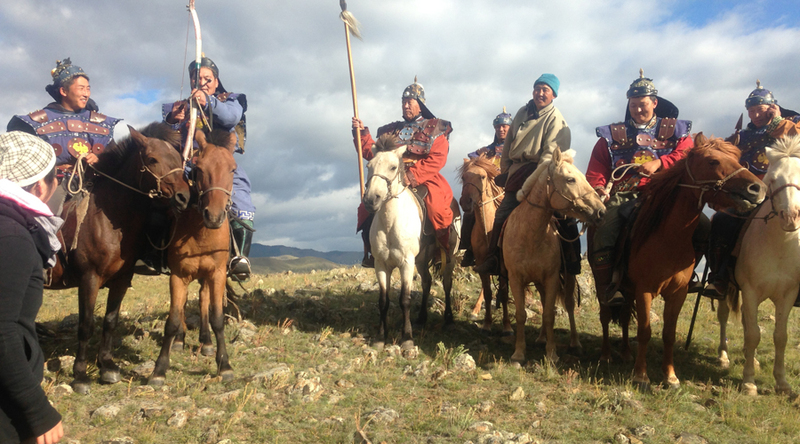 This extraordinary adventure really lets you feel like a warrior under Genghis Khan, in an area whose nomadic customs have remained unchanged since the thirteenth century. You will learn new skills, and have experiences that will stay with you forever. We recommend you have at least some previous riding experience to get the most out of the adventure, but beginners are well catered for too. The highlight of the trip was the whole thing.We did lots of different things. Everything was great and the overall balance and mix was perfect. Amazing country, lovely people. One of the best trips ever. 'Bottom line is this was one of the best over seas trips I've ever taken. Thank you for the great experience. They are so enthusiastic to show their culture and that was great. It was superbly well organised, everybody was so kind, thoughtful and helpful. The whole trip was very informative, as well as being great fun. I was literally in tears (of joy) at times as we were driving across the steppe, with the stunning landscape, and Jaia's beautiful singing as he was driving. I felt so privileged to be surrounded by such beauty in all senses. I shall tell as many people as possible what a truly wonderful experience it was. 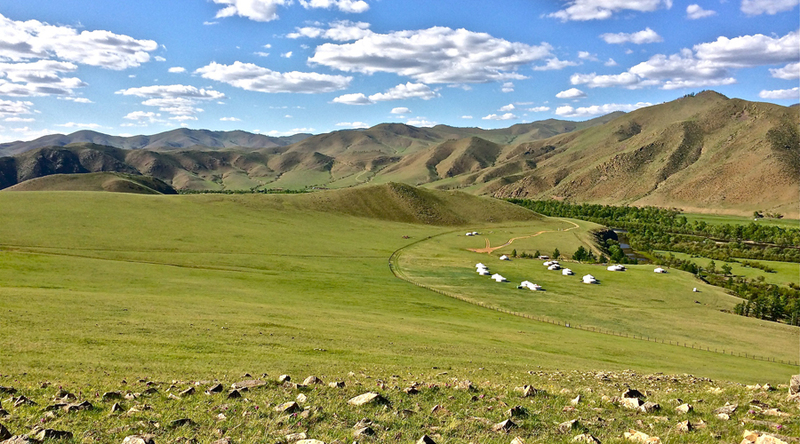 The Chinggis Khan Warrior Training has been the best holiday ever: not only Mongolia is so beautiful to take your breath away, but the Tour is very well organized: the staying at the Ger camp and the pony trekking. The activities, the demonstrations and the shows leave no space to boredom. Excluding international flights. Based on 4 pax. £800 supplement per person if less than 4 pax on the trip.